RPS Series cylinder and pump sets from Power Team are meticulously matched to cater for a range of applications. There are four styles of cylinder to choose from, and sets feature either single- or two-speed hydraulic hand pumps. The necessary fittings, couplers and 1.8 m hose are included. If you require a cylinder that isn't listed below or an electric, air, petrol or battery powered pump please contact our sales team. 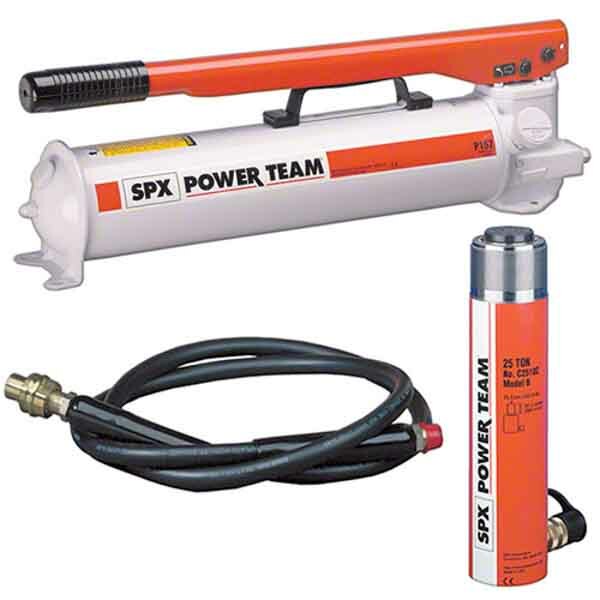 Save money with hydraulic cylinder and pump sets available at SGS Engineering. Rather than buying a hydraulic cylinder and pump separately, purchasing together provides a more cost-effective solution and ensures that each part fits with the other, whatever purpose you may require it for. Various sizes of cylinders and the appropriate pumps can all be found within our range, suitable for many different applications. Take a look through the hydraulic cylinder kits that are for sale and find one that will perfectly meet your needs. Whether you’re replacing your old hydraulic system or require a brand new one, we have the solutions to help with every hydraulic cylinder and pump kit. Plus, we can also design new single or multi cylinder lifting systems to suit your specific requirements. All the hydraulic pump kits are available with short, medium or long stroke cylinders at varying weights, from five to 100 ton options. Four styles of cylinder are also available to choose from, with single or two-speed hydraulic hand pumps. So much choice means it’s easy to discover hydraulic cylinder kits that meet your needs here. 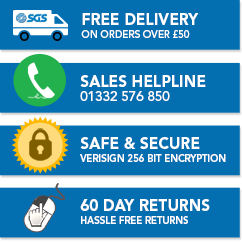 Use the search filter on the left hand side to narrow down the options based on cylinder tonnage, or for further help call our sales helpline on 01332 576 850. * Based on 50% of the stroke being made at low-pressure and 50% at high pressure. **Add suffix "B" (example: rps102b, rps203hb, etc.) to order set with optional storage box.